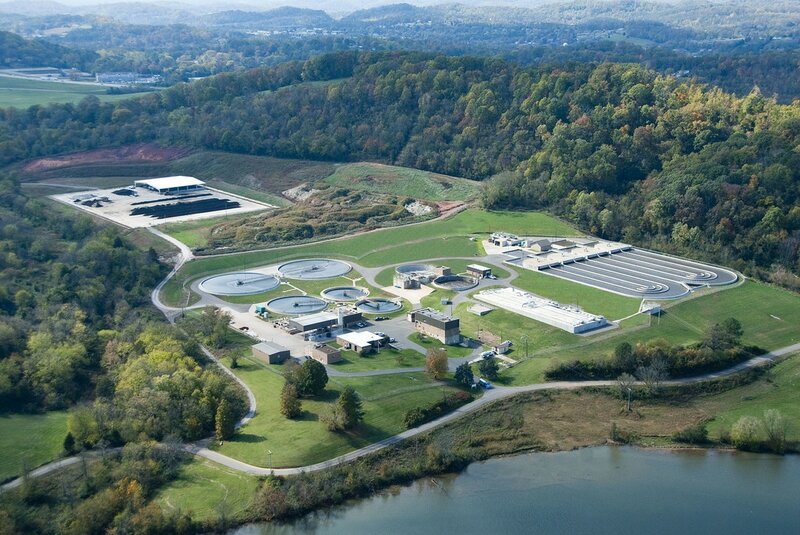 The Maryville Regional Wastewater Treatment Plant treats an average of 9.5 MGD (million gallons per day) of wastewater from over 22,000 customers in the cities of Maryville and Alcoa, and the Knox-Chapman Utility District. We provide environmental stewardship and exceed regulatory requirements with our effluent (liquid waste) treatment process. This helps protect the vital resources of Fort Loudon Reservoir and the Little River. We produce a residual biosolids product that is combined with tree trimming waste from the electric utility. The soil-like product can be used as a soil amendment - reusing up to one million gallons of treated effluent per day and diverting up to 73,000 cubic yards of solid waste from the land fill each year. We use a biological nutrient removal technology that does not require the addition of chemicals. It significantly reduces concentrations of pollutants in the treated wastewater. This allows for an additional five million gallons per day of volume capacity for future economic and population growth with no additional impact to the receiving streams. A normal household uses approximately 250 gallons of water per day. We get our drinking water from the Little River, which originates near Newfound Gap, high in the Great Smoky Mountains National Park. 2002-2003 the Water Filtration Plant was refurbished with state of the art equipment and provides our community with water of the highest standard. The Water Filtration Plant can produce almost 7 million gallons of potable water per day. The Water Filtration Plant delivers between 3 and 6 million gallons of water to customers every day. More water is delivered in the summer. It is estimated that the Water Filtration Plant has produced over 35 billion gallons of treated water since it was constructed. Our seven filtration plant operators have over 99 years of combined experience in operating water treatment facilities. The Water Filtration Plant must follow more stringent regulations than the bottled water industry. The Water Filtration Plant produces water that exceeds all federal and state regulations. If you used bottled water, a family of four can expect to pay more than $100 per month based on 64 ounces per person, per day during the month. Our drinking water is the best buy at around the cost of 24 cents per month for a family of four who consumes 64 ounces daily each.